Welcome to the Hoffman Hills, one of Dunn County's premier natural and recreational destinations. Whether bicycling, skiing, hiking, walking or jogging - you will discover miles of spectacular natural beauty. 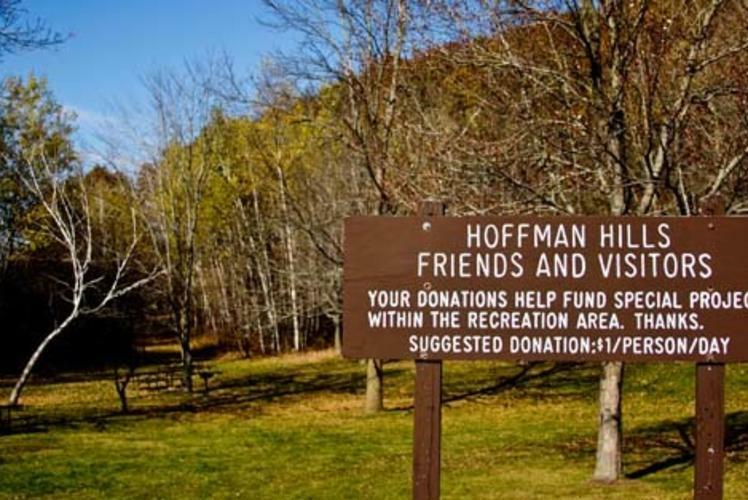 Hoffman Hills State Recreation Area offers 707 acres of preserved and restored wooded hills, wetlands, and prairie traversed with hiking and cross-country ski trails. It's an excellent bird watching area. A 60-foot-high observation tower crowns one of the highest points in Dunn County, offering spectacular views of the surrounding countryside, especially in autumn.